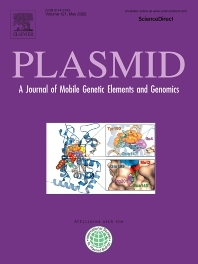 Plasmid publishes original research on genetic elements in all kingdoms of life with emphasis on maintenance, transmission and evolution of extrachromosomal elements. Objects of interest include plasmids, bacteriophages, mobile genetic elements, organelle DNA, and genomic and pathogenicity islands. Plasmid welcomes topics such as horizontal gene transfer, including antibiotic resistance transfer, and molecular aspects of microbial ecology. It also welcomes applications of plasmid biology to biotechnology and medicine, and of bioinformatics for studies of genomes. The journal is a bi-monthly that publishes full articles, short communications and reviews.